MSG The Warrior Lion Heart Promotion Full Blast! Home Lifestyle Bollywood MSG The Warrior Lion Heart Promotion Full Blast! 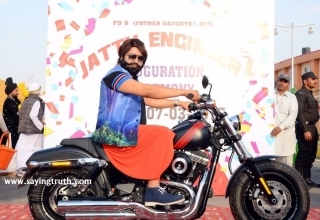 In a spectacular event attended by 30-40 lac Fans and Media persons, Saint Dr. Gurmeet Ram Rahim Singh Ji Insan unveiled the second song “Sona mera mishri di daliye“ from his upcoming Movie MSG The Warrior Lion Heart, during a congregation held in Sirsa. 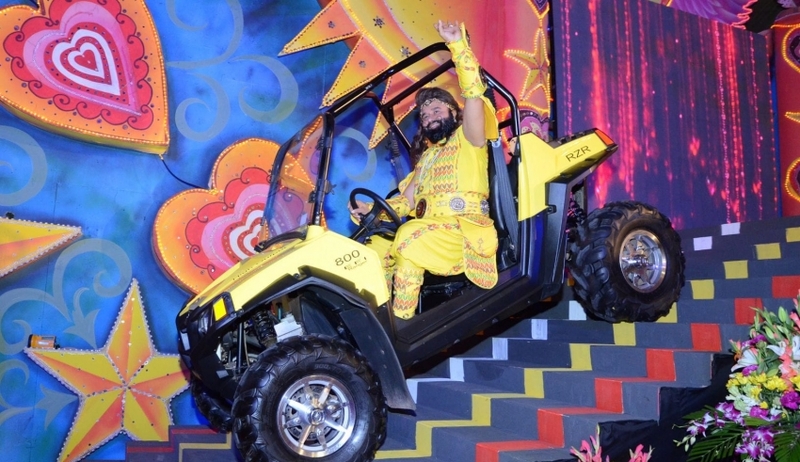 The Rockstar Saint made a grand entry in an ATV, clad as the Warrior from the Movie MSG The Warrior Lion Heart, taking Film Promotion to another level. This is the first event for promotion of a Movie with such huge number of Fans live! This program was broadcast live on Facebook & 2.75 lac people watched it in just 20 mins. It’s raining records for Lion heart, even before release! 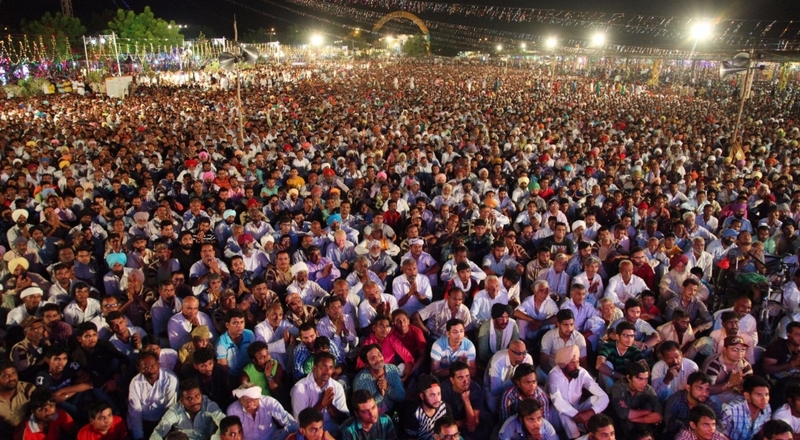 In the evening of Sept 23rd MSG fans lit 1,50,009 Lac Oil lamps with ghee to create a world record of its kind. This surpasses the previous effort by a major national daily where they had lit 21075 lamps. Saint Dr. MSG said that it was a custom to purify the environment thus and our culture was full of such practices that were not just celebrations but also majorly useful to kill germs spreading diseases. Two helicams filming the event created some fantastic footage. A Limca record for the world’s largest cleanliness drive done by him in Panipat was also dedicated to the selfless volunteers. Full Blast Promotion on a song! 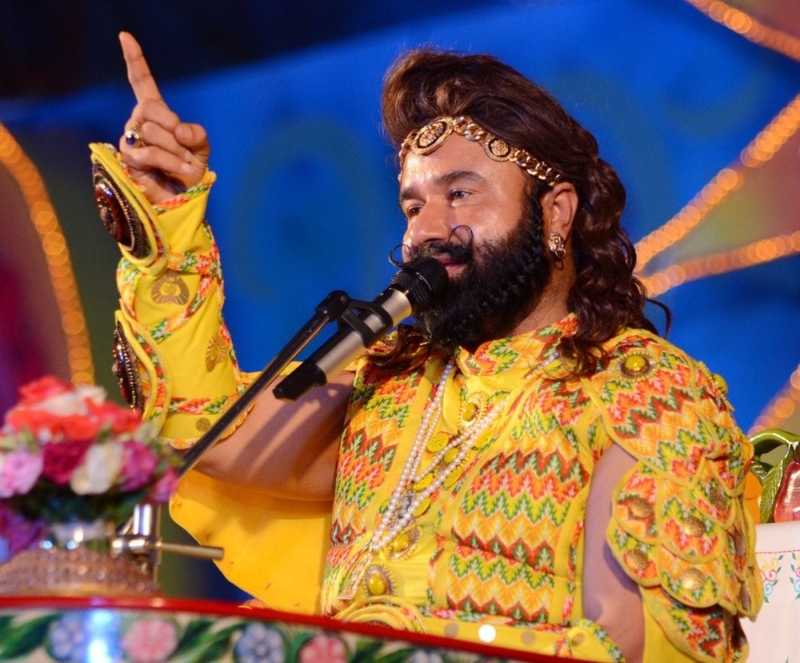 Dr. MSG initiated the Event, singing to the beats of his extremely popular songs and no one could help but shake a leg. The songs were performed from a variety of different genres with soulful mastery of each one, throwing the fans into a tizzy. Dr. MSG applauded the Media for their contribution in the creation of a healthy & informed society. He said that he believes that media is his foremost channel of promoting his movie and he did not think it was imperative to go to a particular TV program to promote the film. It is interesting to note, that Saint Dr Gurmeet Ram Rahim Singh Ji Insan has handled every department in MSG The Warrior Lion Heart ,right from creative director, sound designer, prop designer, script writer, Music Director, Casting Director and what not! In a press conference as part of Lion Heart Promotion, fans were treated to some amazing behind-the-scenes shots of this upcoming Movie. Saint Dr. Gurmeet Ram Rahim Singh Ji Insan has been seen guiding every single activity, a total of 30 departments, with exceptional ease. 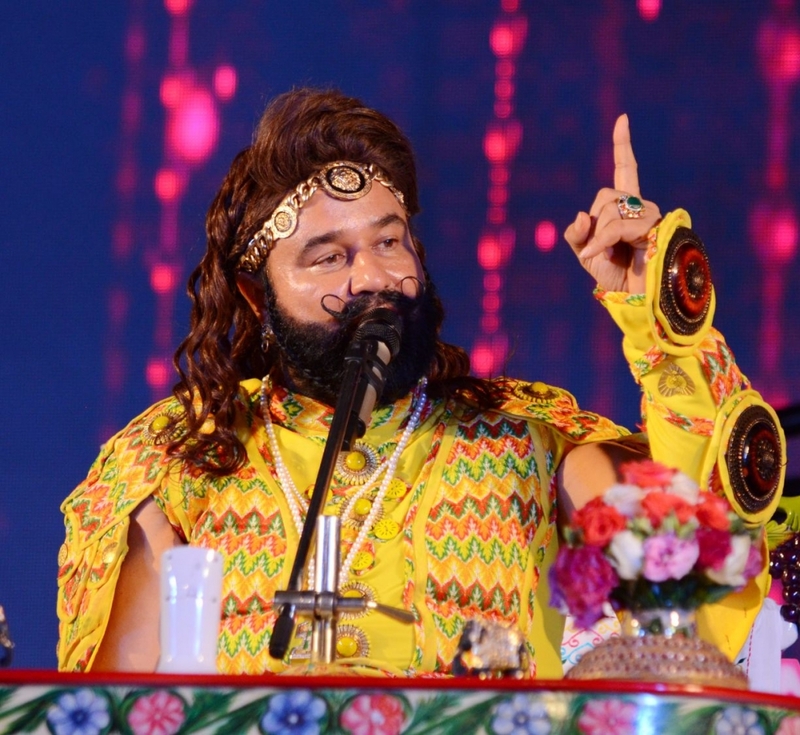 Dr. MSG also shared some unbelievable facts and many behind-the-scenes incidents. Revealing some insights into the Movie, MSG said that all stunts were done without duplicates. Fight sequences of his daughters HoneyPreet Insan and CharanPreet Insan also garnered accolades from fightmaster Abbas Ali. Honey Preet Insan is also the co-director along with Saint Dr. Gurmeet Ram Rahim Singh Ji Insan. His daughter Honeypreet said that her father’s exceptional talent made things easy as it was not only his mind blowing acting but also his keen memory of the dialogues of the co-actors. Initially, she was very hesitant and scared to direct but Saint Dr.MSG boosted her with the following words, “Look you are the daughter of a Lion like father, so you are a Lion, too.” From that point on, thing became really simple, she said. 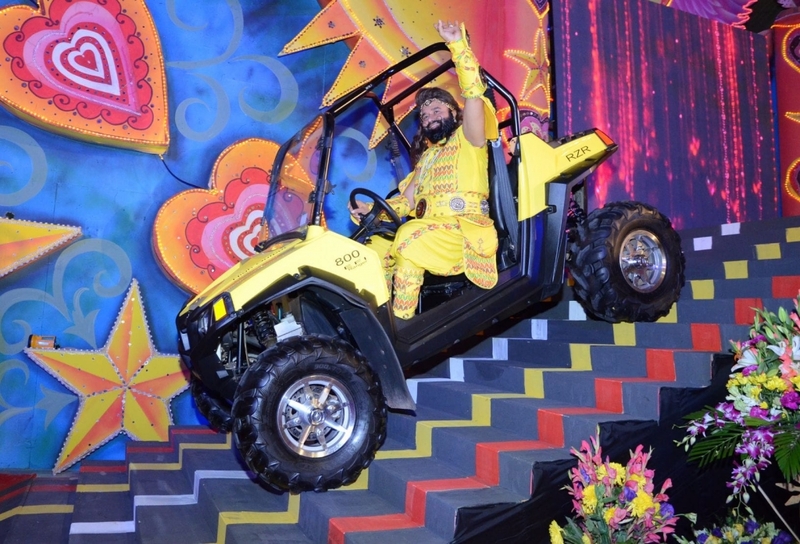 While the message part is important in all films made by Saint Dr. MSG, he said that this film is a thorough entertainer where one never realizes when the sugar coated quinine goes through and changes the youth. Dr. MSG will donate his share of earnings from MSG The Warrior Lion Heart for the plant stem cell and tissue culture research. Amazing bytes: Six packs coming next! Asked about his fitness, he said that he was fond of heavy agricultural labor in the fields whenever time permitted and an avid sportsman who could play 32 sports disciplines with ease. And bowing to the demands of the fans, he was also seriously contemplating working out for a six pack abdomen. He said that 15 hour long meditation sessions had caused loss of abdominal wall tone, while he had natural six packs to start with, but he did not foresee a problem getting back to his previous self. MSG The Warrior Lion Heart is about a medieval Warrior who fights aliens from outer space, to protect the dignity of womenfolk and his mother – land. Traversing across centuries, the warrior gains his powers from our ancient times, which was a rich treasure of spirituality & divine powers.The Movie comes with many messages one of them being striving for the dignity of women and aims to promote positivism in the youth and save farmers from suicidal tendencies. MSG The Warrior Lion Heart releases on October 7th.